Anyone who has used ASUS BIOS for any recent boards over the past 5+ years is well versed in their UEFI as they have not changed it alto and this is a good thing. It simply works, works well and has the right features in the right places. 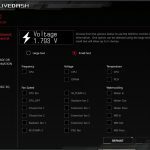 I also do like as some of the items for overclocking are spread around specific sections that you can apply a favorite marker to multiple settings you use common and then the “My favorites” section will be populated by those to make your own overclocking dashboard so to speak without navigating multiple sub-menus for a single setting. One area of definite interest is under the “tools” section labeled “ASUS Armoury Crate”. This uses Windows ACPI to push installation of the LAN driver and the ASUS updater software to the newly installed OS automatically. In my experience, it worked well and ensured I had a network to pull down any other important information instantly. However, ASUS auto-update tools are quite bloated feeling and I normally do not install that sort of stuff so I do wish you could adjust that option and select exactly what is pushed from this. The good news is you definitely can disable it if you feel it is not good for your installation. 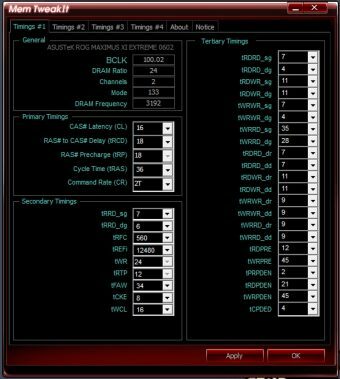 Some have raised the concern of potential security risk as if something becomes infected and ends up in this section of the BIOS and pushes via ACPI can it potentially be harmful or malware? This has not been shown to be an issue yet and to be honest I really don’t know. 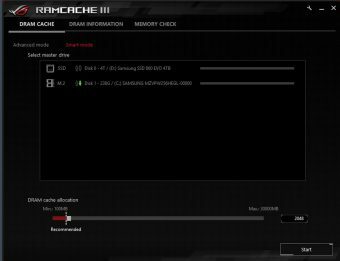 UEFI firmware has become far more secure and the only way I could see this being a concern would be if you were to flash a questionable BIOS from a 3rd party and manage to force flash it thru. 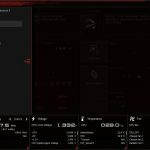 This item is ON by default as I feel it will be quite helpful to those trying to build out and get an OS going quickly as you will have instant network access.. Once complete you could always disable it from the BIOS to eliminate the popup asking about installing ASUS Armoury Crate. 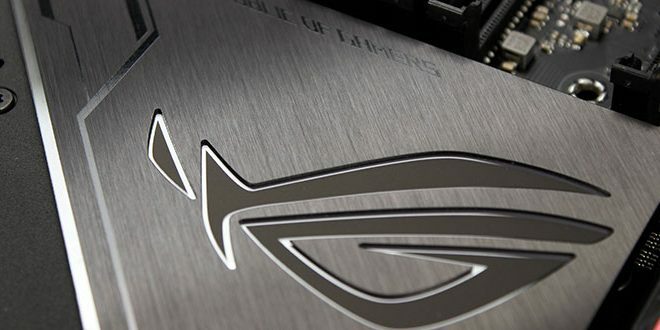 Here is the ASUS AISuite as it has been known but now is more of a central hub to the overclocking and other standard software ASUS offers. 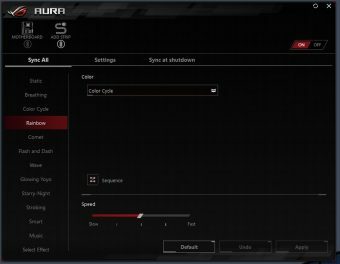 ASUS AURA is the ASUS RGB software and it works well for LED control and for syncing compatible devices. 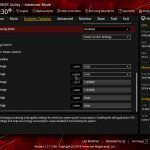 If you have applicable DIMMS you can even sync them with your onboard lighting patterns and even the addressable strips or 5050 style RGB strips you choose to put in your build should you want to go the RGB route. 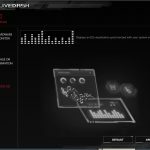 ASUS Livedash software allows you to change the information displayed during operation on the Live Dash display for your Zenith Extreme Alpha. It is interesting as they have several animated images or you can set it to cycle through a large list of monitoring. The only bummer is when you select the “Large Text” which I feel is the best look you cannot scroll through multiple options. The smaller text option works as intended but I am assuming the larger text option is limited due to the fact that it doesn’t show the name of what it is displaying. 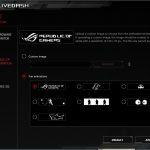 For the Live dash, you can also upload your own custom images but they must be black and white and keep in mind that due to the small size make sure its a stark black/white image otherwise grey tones will easily make it hard to tell what the image is. Example being I took our Bjorn3D watermark and converted it to B/W and when playing it on the live dash, it did not go well. 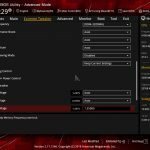 Mem TweakIt has been around awhile and once again not really anything ASUS needs to mess with as it simply works for those looking to really fine tune some advanced memory settings. 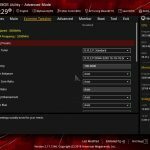 Although I prefer to make these sorts of changes within the UEFI there are some that maybe cannot boot at the specific settings and when pushing the edge you may need a small tweak once in the OS. 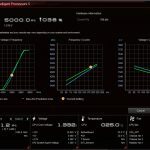 With AMD this is less likely to be as utilized as I see this as an extreme benchmarking tool and the recent trend of most extreme enthusiasts is to only use hardware which will get them world records and unfortunately AMD is not back to competing 1:1 with Intel yet so not as many extreme benchmarking membrs are adopting Ryzen, yet. The ASUS RAM Cache implementation is pretty straightforward as it piggybacks from an open source RamDisk implementation which allows you to allocate spare ram to a super fast storage medium for things such as browser cache, and other repetitive storage needs and from my testing allocating it as a browser cache seems to be the best usage as it can make for a very very quick solution due to not pinging your physical storage any time the browser such as Chrome needs some cache data. Physical system RAM is much better at this. Now lets strap the Zenith Extreme alpha to the bench and see how it performs.